In the final installment of the Harry Potter series, the young hero finally outgrows the Hogwarts School of Witchcraft and Wizardry. So it is fitting that the movie franchise has become so popular that its film premieres have finally outgrown Leicester Square. Warner Bros today announced that the premiere of Harry Potter And The Deathly Hallows Part 2 will take place in Trafalgar Square as well as its regular home in Leicester Square. It will be the first red carpet movie event held in Trafalgar Square and one of the biggest film premieres seen in the capital. - watched by the world's assembled media and thousands of fans and competition winners. The actors will walk the red carpet and conduct interviews in Trafalgar Square before making their way to a number of cinemas in Leicester Square to watch the film. The route has yet to be confirmed. Warner Bros said the arrangements are intended to give the franchise a blockbuster send-off. 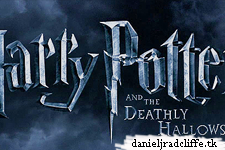 Josh Berger, president and managing director of Warner Bros Pictures UK, said: "We are delighted that our plans for the finale of Harry Potter and the Deathly Hallows will take place in such a spectacular venue. "We pride ourselves on the creativity of our premieres and the space within Trafalgar Square will lend itself to being a magical experience for both guests and fans." However, a new venue would have been necessary anyway because of building work in Leicester Square. Work to improve the square began in December and will last for 17 months, forcing many film companies to stage premieres elsewhere. The O2 arena has already hosted larger events such as a screening of Justin Bieber's 3D documentary Never Say Never last month, and Westfield shopping centre in Shepherd's Bush has also been used. The final Harry Potter film features the wizard's climactic battle with Lord Voldemort, and many scenes were shot in central London. Mayor Boris Johnson said: "As befits a great British triumph, I can think of no better venue than the iconic surroundings of Trafalgar Square in which to stage the most spectacular of send-offs for this dramatic finale."